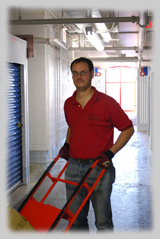 Mover Rankings is a leading directory of moving services in the United States of America. We provide complete database of all moving companies in US. 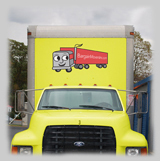 Bargain Movers is located at Gaithersburg, Maryland - 20879, US. Please call us 301-685-6789 for all the details involved in moving services. By sharing your experience with Bargain Movers , it will help other customers to make a right choice of using this company. I was VERY SUPER HAPPY with the job that Bargain Movers did. From the first contact with Martina and Lewis to the cleanup at the end of the move my experience with Bargain Movers was great. We moved on 7/28/17 during the nor'easter . In some of the most difficult conditions Jorge, Sergio and David showed up to move my daughter after their morning job took twice as long as planned. They were Happy and Cheerful, ready to get the job done. They went right to work , each one knew exactly what to do. AMAZING. if I could. This is the second time we used Bargain Movers . Thank you Martina,Lewis,Jorge',Sergio and David.